•To define the horizons (structural zone vertical boundaries) of a conceptual model. •To define the spatial distribution of a boundary condition attribute. •To define the spatial distribution of a property zone attribute, e.g., conductivity, initial heads. •To visualize the spatial variation of model features, e.g., surface topography, water table elevation, etc. 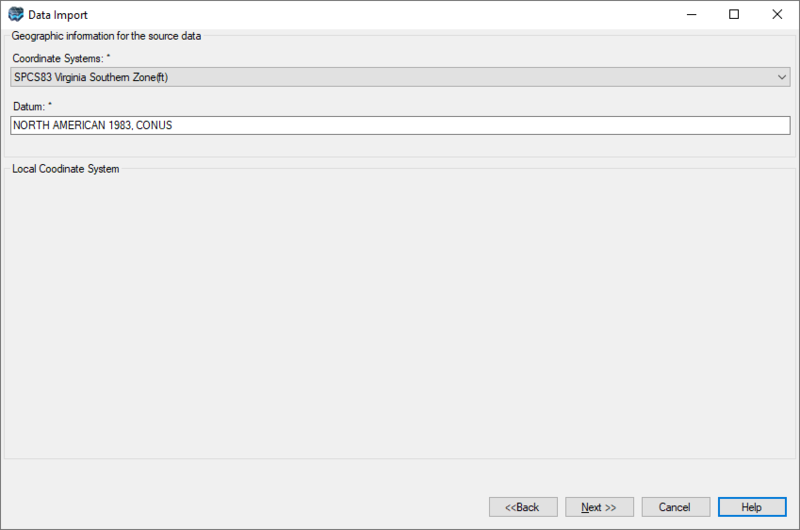 •Right-click in the Data Explorer and select Import Data... from the pop-up menu. •Select Surface from the Data Type drop down list box. •Click the [...] button and locate the source file. •Enter a Name and a Description for the imported data, and click [Next] to continue. Please Note: Surface files that contain a large quantity of data points may require substantial time to import into Visual MODFLOW Flex. 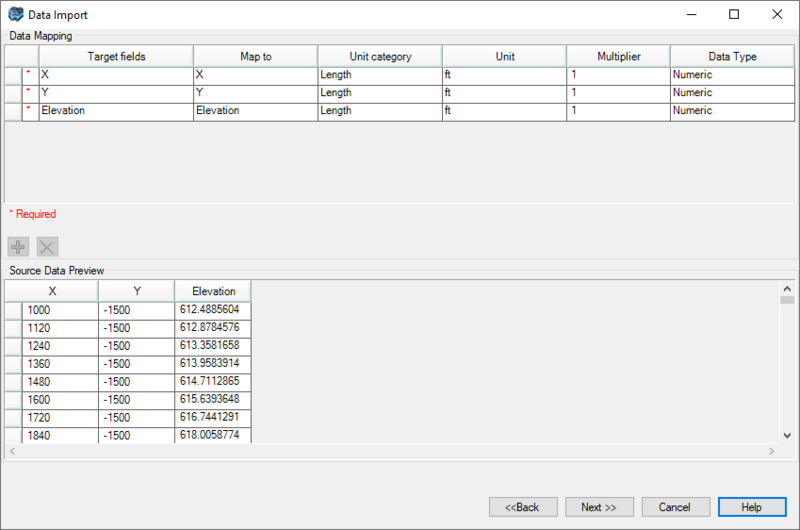 Surface data will usually only consist of three columns: X, Y and Attribute Data (elevation, conductivity, etc). Visual MODFLOW Flex will automatically map the source columns to the target fields. You can preview the mapped data before importing into Visual MODFLOW Flex. Click the [Next] button to finish the import process. Upon importing, a new data object will be added to the Data Explorer.